This event is always a favorite and we are excited to offer it again this year! 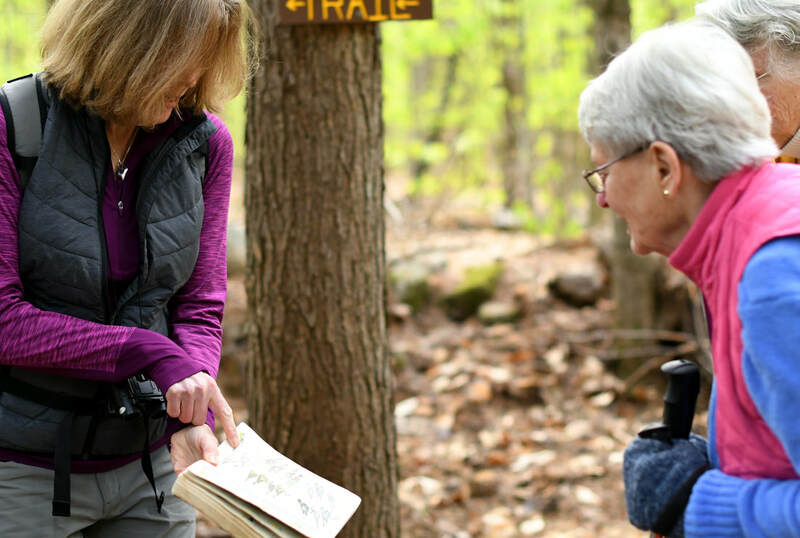 Join us at CSVW for a fun and educational walk through the trails, gardens and Teacup Lake. 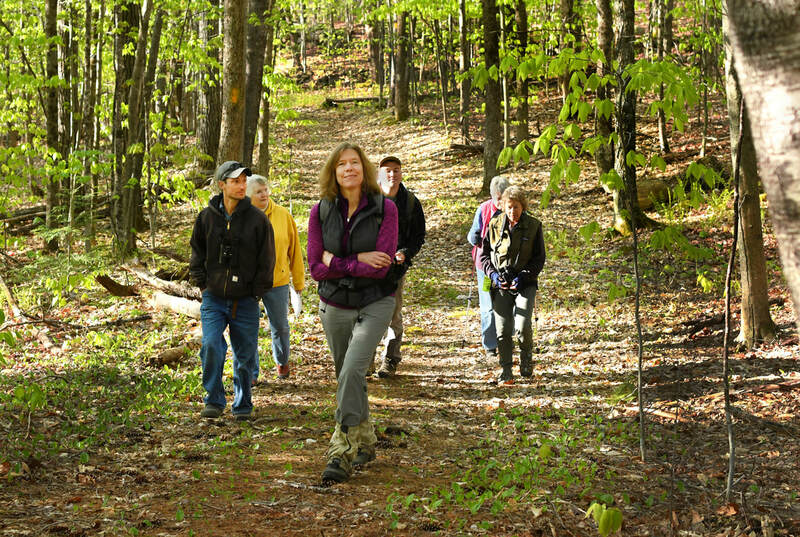 Expert birder Christine Costello of USFS will lead the way and share her knowledge of the many warblers and other birds that return to Chapman Sanctuary each spring. Participants will learn to identify birds both by sight and through individual bird calls. Topics discussed include species preferred habitat, food source, nesting and more! We were thrilled to have a few new faces join us last year and hope to see a few more when we hit the trails and welcome back the warblers! Make sure to put this fantastic and fun event on your Spring calendar - it is always great experience! DON'T MISS THE NEXT ONES ! CSVW's Sarah Zuccarelli led a large group through the forest trails and fields in exploration of the hundreds of species of wildflowers, plant life and pollinators at the sanctuary. This annual event is a CSVW favorite! The CSVW Annual Meeting was held at the Benz Center in Center Sandwich, NH. ​you can join us at the 2018 CSVW Annual Meeting! The United Way had volunteers at CSVW for the day providing trail maintenance and working in the gardens as part of their Day of Caring program.